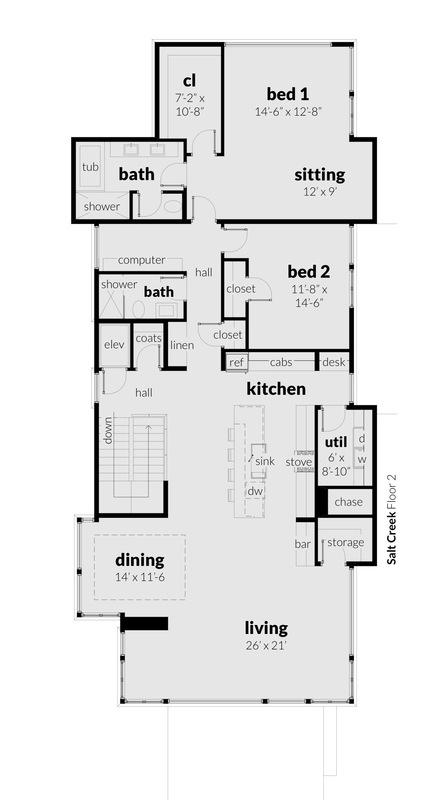 The Salt Creek House Plan. 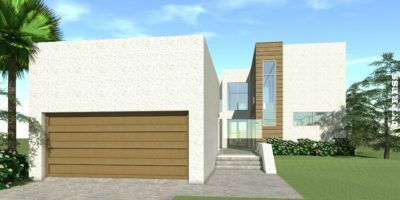 The Salt Creek House Plan has the living spaces on the upper floor for land with a view. The drive-through parking is beneath the house. The foyer tower holds a modern metal stair and residential elevator. 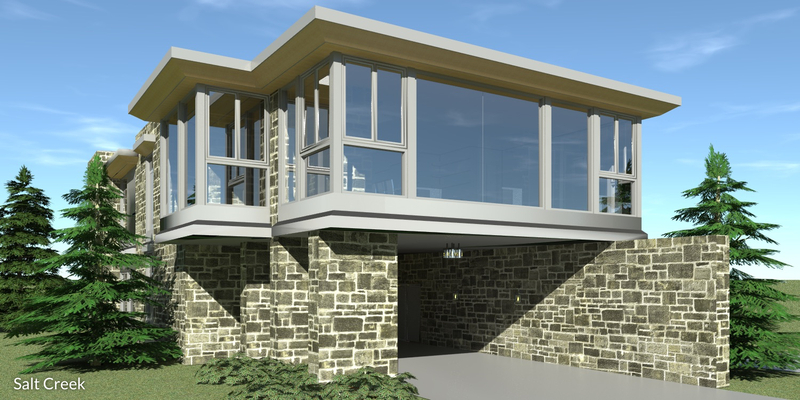 Upstairs, the kitchen, living and dining are open with strong stone features throughout. The laundry is conveniently located close to the kitchen. 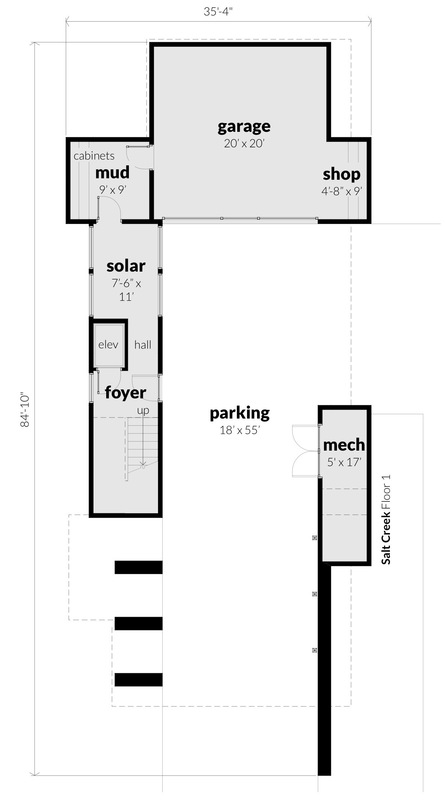 Two bedrooms and two baths with a computer room, and lots of closet space throughout the house. 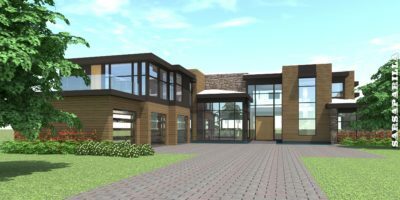 A two car garage with shop and mud room is connected to the glass ‘solar’ room which is a natural greenhouse.The mechanical room on the first level is connected to the upper residence by a mechanical chase. Ground level storage provides plenty of room for larger items. 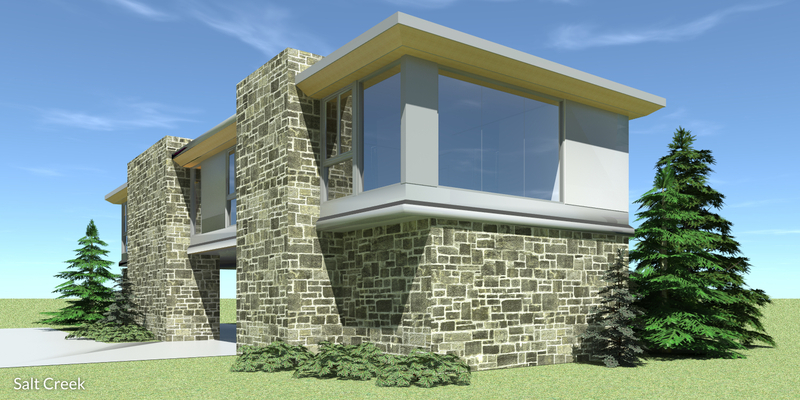 Modern doors and windows by PGT.